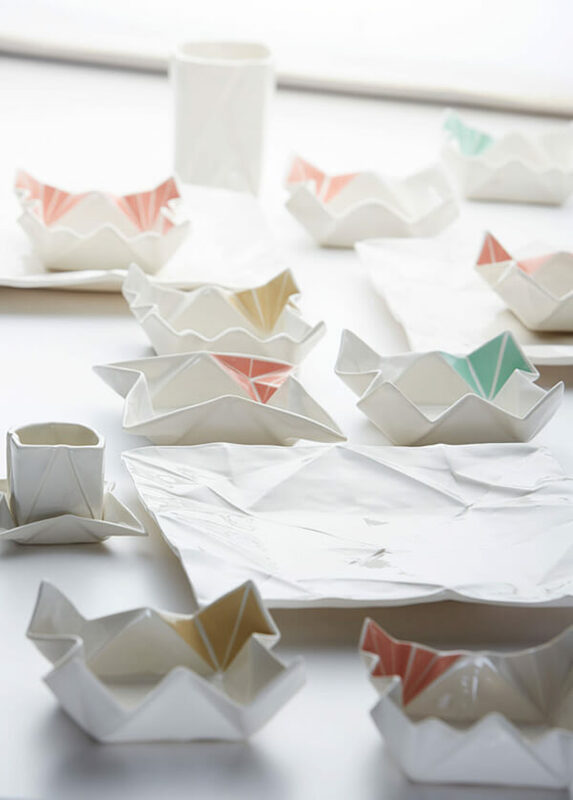 We love origami and we have featured many impressive origami work on the site and 99% are made with paper. 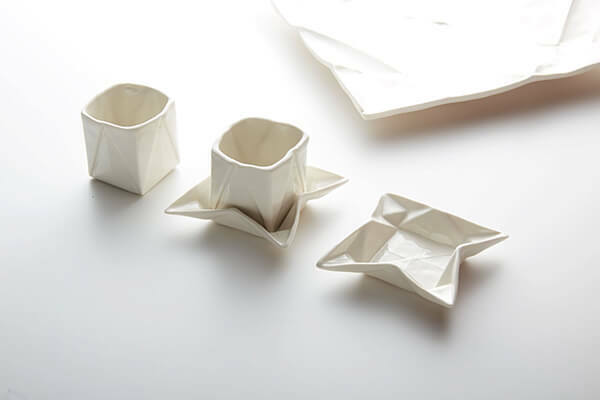 But today, we will introduce you a set of unusual dishware which is inspired by origami and looks like some wrinkled paper folded into dishware shape but actually made of ceramic. 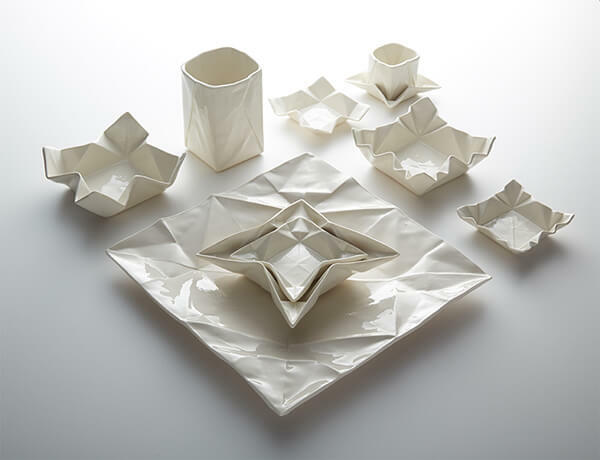 Created by Hamburg-based ceramic artist Angelina Erhorn of Moij Design, this interesting series includes plates, bowls, cups, and vases. 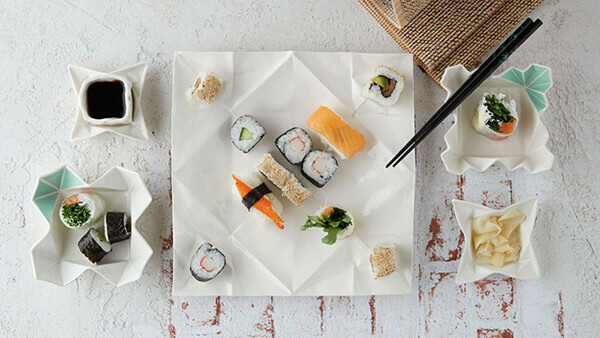 To create tableware like these, designer will make a paper version first then molded it in plaster so the porcelain can then be cast inside. 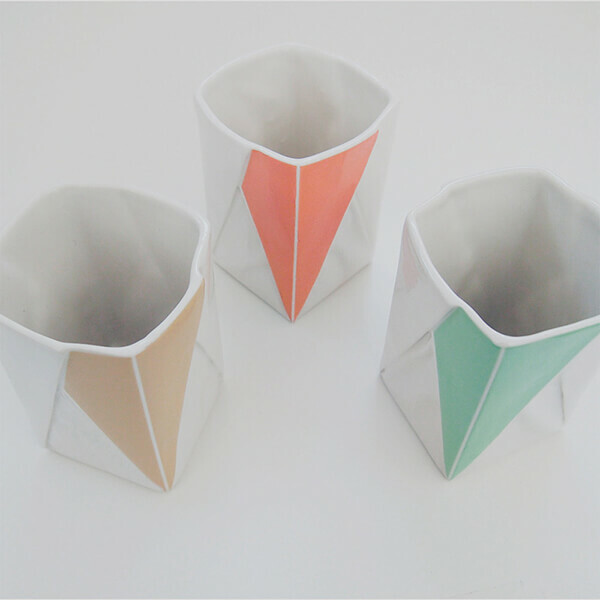 The final product in ceramic keeps the appearance of the folded paper structure. 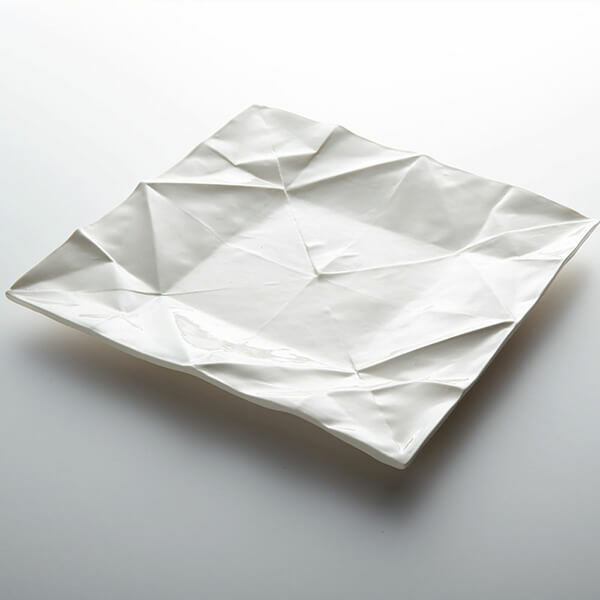 All the tableware is 100% handmade from Hamburg and depends on the size, the price ranges from $10 – $50. 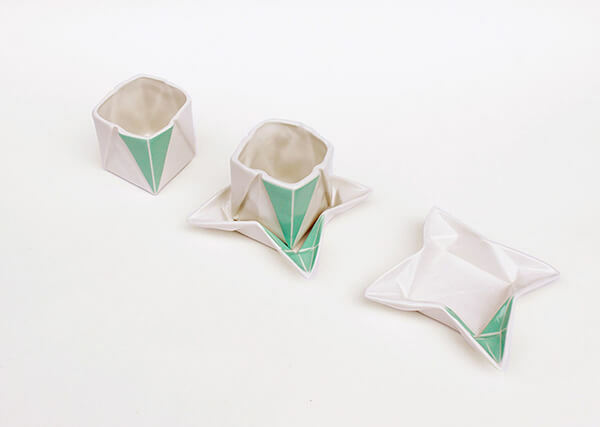 Although I am not a big fan of those origami tableware, I have to admit they are quite eye-catching and can definitely be conversation starter. FYI: You can purchase some of them here.